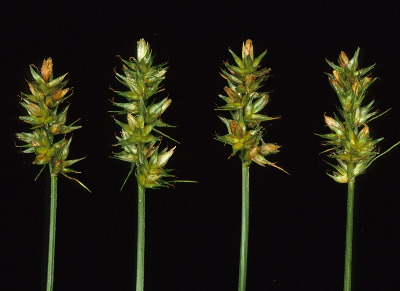 A European species, one of our few introduced species of Carex, occurring in grassy disturbed forests, fencerows, often in urban areas. 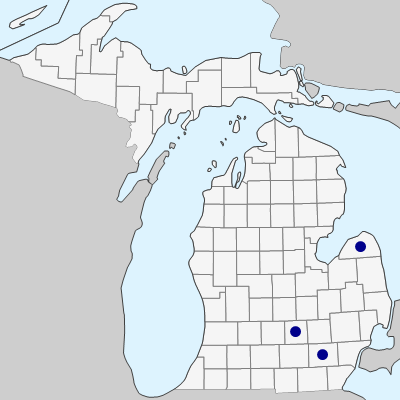 First collected in 1965 in Huron Co. More common eastward, especially in southern Ontario. A distinctive species in its large perigynia, nerveless ventrally and weakly nerved dorsally, green midrib and purple-red tinting on the sides of the pistillate scales, and long ligules. MICHIGAN FLORA ONLINE. A. A. Reznicek, E. G. Voss, & B. S. Walters. February 2011. University of Michigan. Web. April 21, 2019. https://michiganflora.net/species.aspx?id=1051.